In the first three months of this year, Nintendo sold a mere 200,000 Wii U's in North America. Microsoft sold more Xbox 360's than that in March alone. But, uh, that's the good news? In Japan, since January, Nintendo sold 90,000 Wii U systems. And in the rest of the world? 110,000. Amid all the facts and figures there was some sobering proof that the $300-$350 Wii U, the first new console released by Microsoft, Sony or Nintendo since 2006 just isn't selling. Wii U had started decently last November and December, racking up a little more than three million consoles sold worldwide during the holiday season. Maybe people liked the idea of a system that had a screen embedded in its twin-stick controller? Then Christmas ended and Nintendo, as company CEO Satoru Iwata has apologized for, stopped releasing Wii U games and started delaying everything (you're ok with Pikmin 3 coming out in August, yeah? And The Wonderful 101 coming out in the month of TBD?). Consoles usually have software droughts when they launch, but still... people aren't buying the Wii U. The excitement isn't there. Unfortunately, for Nintendo, their other platform, the 3DS, is having some problems of its own. The portable system is thriving in Japan, where Nintendo sold 5.7 million systems in the past year (April 2012-March 2013). The company sold 4.3 million in North America, 4 million in the rest of the world. Sorry, but there's a dark lining to this silver cloud: in the year before that, Nintendo sold more 3DS systems in North America and the rest of the world (4.7 million and 4.1 million from April 2011-March 2012, respectively). Sales were down last year. They're only up for 3DS in Japan (up from 4.8 million). Game sales are at least up everywhere. Nintendo sold more 3DS games in each part of the world last year than in the year before. The 3DS' performance in America is a bit of a bummer to those who now see the 3DS as just about the best system around. The machine has hits its stride over here, as we've pointed out. It's getting great games all the time. It works well. We're having a blast. Maybe Nintendo's problem is its own pre-3DS system, the DS, which sold just 10,000 units in Japan in the last year but more then 2 million in North America. So what's Nintendo going to do about this? 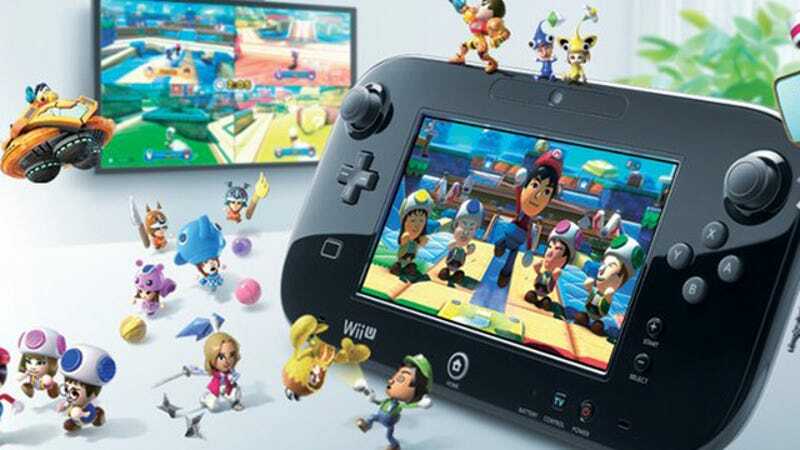 For the “Wii U” system, launched in the fiscal year ended March 31, 2013, there were some delays in software development that resulted in intervals between new software title releases at the early stage of this year. Taking this into consideration, for the fiscal year ending March 31, 2014, we plan to concentrate on proactively releasing key Nintendo titles from the second half of this year through next year in order to regain momentum for the platform. Nintendo strives to improve the sales by communicating the compelling nature of our hardware and software to as many people as possible through our new network service called “Miiverse,” which offers an environment where people can empathize with others and share their gaming experiences. We also strive to reduce costs to improve hardware profitability. For “Nintendo 3DS,” in order to set in the overseas markets the same trend as in the Japanese market, we will concentrate on proactively releasing key Nintendo titles. “Animal Crossing: New Leaf,” a hit title which contributed to sales growth in Japan, will be released in the U.S. and Europe in June 2013, and the latest titles from the Pokémon series, “Pokémon X Version/Pokémon Y Version,” will be released globally in October 2013. In addition, we are planning to more actively support the Japanese software developers in distributing their key titles overseas. In Japan, we continuously strive to stimulate the market by releasing new titles such as “Tomodachi Collection,” launched on April 18, 2013 as a sequel to the popular “Nintendo DS” version of “Tomodachi Collection.” Furthermore, in overseas markets, we will more actively attempt to boost the sales rate of the downloadable format of packaged software, a sales method that we started last summer, in order to increase the number of new sales opportunities and improve our profitability. Nothing drastic. Ride out the storm? Or time for something drastic? Yearning to do some number-crunching of your own?